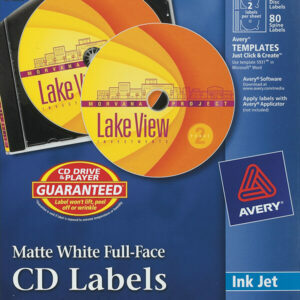 The white, specially coated CD-labels J8676-25 in round Supersize Format Ø117mm for inkjet printers from Avery are ideal for professional labeling of CDs. 50 CD labels on 25 sheets. The CD stickers are also equipped with practical retaining tabs that allow a simple and central deposition. Create and print your CD labels quickly and easily – with the free Avery labels templates and software solutions under www.avery-zweckform.eu/print or the built-in Microsoft® Office package based templates. 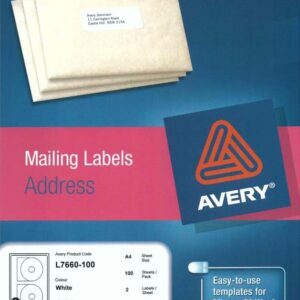 The white, high-gloss CD Labels L7760-25 in round Supersize Format Ø117mm for color laser printers from Avery are ideal for professional labeling of CDs. 50 CD labels on 25 sheets. 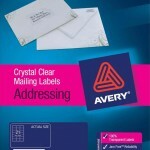 The CD stickers are also equipped with practical retaining tabs that allow a simple and central deposition. Environmentally friendly, FSC certified, bleached without chlorine. 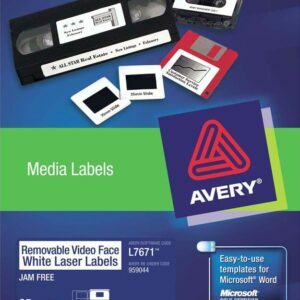 Create and print your CD labels quickly and easily – with the free Avery labels templates and software solutions under www.avery-zweckform.eu/print or the built-in Microsoft® Office package based templates. 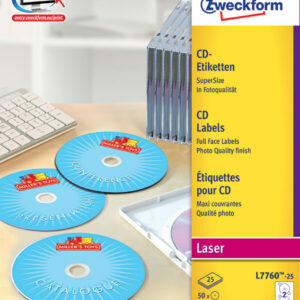 The white, opaque disc labels L7676-25 in round Supersize Format Ø117mm Avery are ideal for professional labeling of CDs. 50 CD labels on 25 sheets. The CD stickers are also equipped with practical retaining tabs that allow a simple and central deposition. Environmentally friendly, FSC certified, bleached without chlorine. 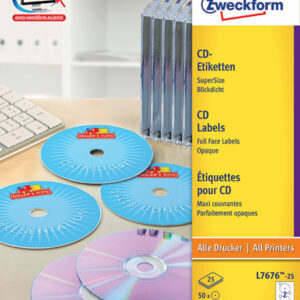 Create and print your CD labels quickly and easily – with the free Avery labels templates and software solutions under www.avery-zweckform.eu/print or the built-in Microsoft® Office package based templates. CDs should garner attention before they’re even popped in the player. 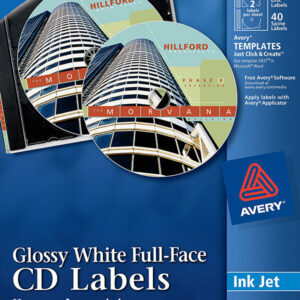 These Glossy White Full-Face CD Labels will make all your CDs look amazing. 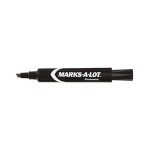 They provide more space for your designs and can be applied easily with the Avery® Applicator (available separately). 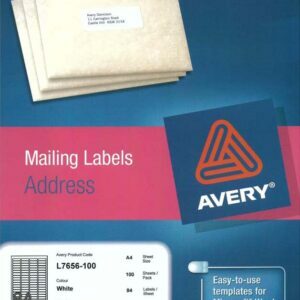 And with free templates from Design & Print Online at avery.com, you can cover these labels with brilliant text and graphics and then print them from your inkjet printer. Attention-grabbing CDs are yours in minutes. With these Matte White CD Labels, identifying CDs and DVDs won’t be an all-day affair. Create high-quality disc labels and spine labels to catalog your CDs using free templates and designs at avery.com/print. 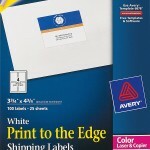 Just print labels from your inkjet printer for photo-quality graphics and text. 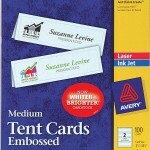 Then apply the precut labels to CDs with the easy-to-use Avery Applicator (available separately).